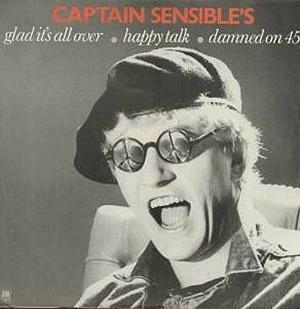 Before embarking on a solo career, Captain Sensible (real name Raymond Burns) was a bassist, lead guitarist, keyboardist, and eventually the main songwriter with The Damned, who he co-founded in 1976. However, ask anyone who remembers the 80s who Captain Sensible was, and they'll probably describe him as a beret-wearing lunatic! After leaving The Damned, Sensible had three Top 40 hits as a solo artist during the 80s. A cover of Happy Talk (featuring backing vocal by Dolly Mixture) was his biggest, reaching #1 for two weeks in the UK singles chart during the summer of 1982. The original version of the Rodgers and Hammerstein song featured in the 1949 movie South Pacific. The musician's other two 80s hits were Wot (#26 in 1982) and Glad It's All Over (#6 in 1984). Captain Sensible rejoined The Damned in 1996, with whom he still tours today. The video playlist above features a performance of Happy Talk on the Christmas edition of Top Of The Pops and is introduced by DJ Peter Powell - whatever happened to him? Wot! features backing vocals by Dolly Mixture, a new wave/post-pink band who released a number of singles and albums during the 1980s, although none of them were chart hits. Sensible was once married to band member Rachel Bor and they had three children together. As you can see, none of the Captain's albums were highly successful. 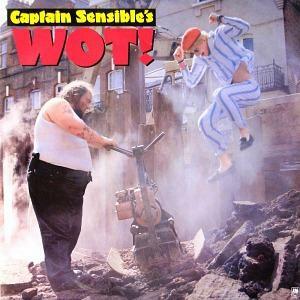 Captain Sensible has, so far, released 22 singles, with the most recent entitled "Wot – I Say Captain" (with Erkan & Stefan) in 2005. He also composed the theme tune to the game show Big Break (called "The Snooker Song"). 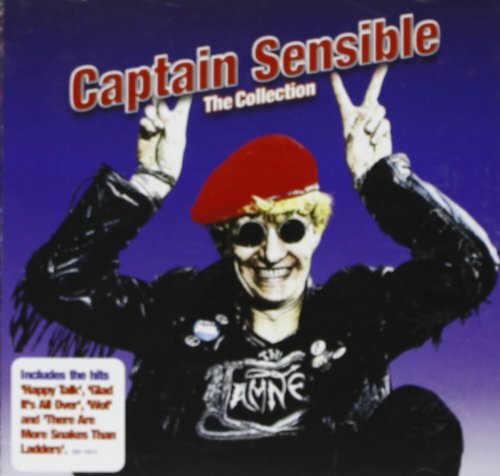 "The Power of Love" was Captain Sensible's second solo album and was a commercial failure.